To use AAF, we advise you to upgrade first to 4.3.6 (or any later version). Select a system then click on Edit . 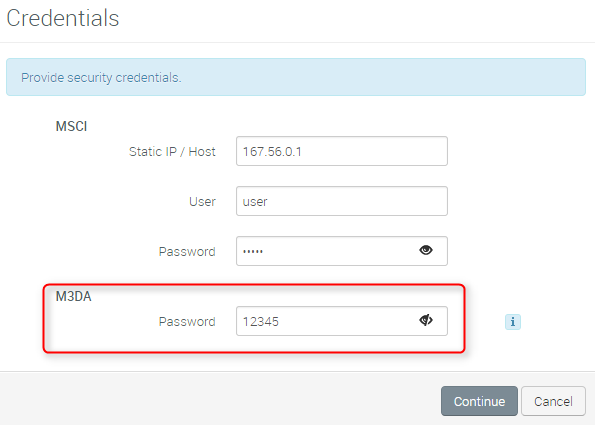 In the Applications section, click on the credential icon to edit the credentials for the ALEOS firmware. Set the M3DA password. This password is used for AAF communications and shall be identical on device and server side. Default value on the device is 12345. Enable AAF ALEOS AF (AAF) if not enable by default. it can be enabled remotely from AirVantage. From the system details, click on Configuration and Edit . 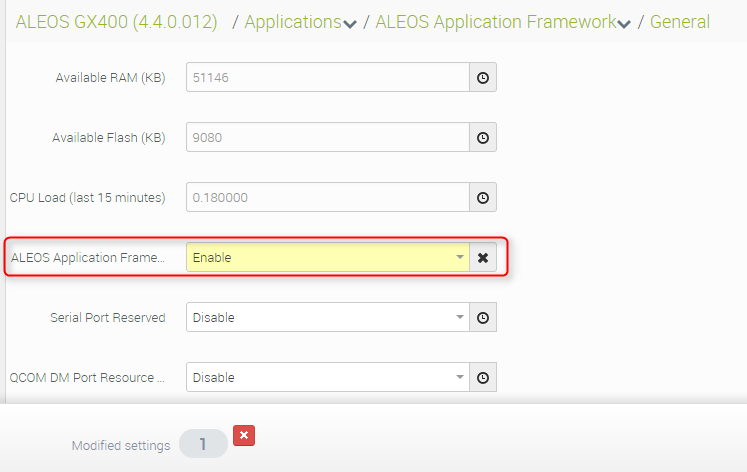 Set the parameter Applications > ALEOS Application Framework > General > ALEOS Application Framework setting to Enable, then Apply. At next communication, the device configuration will be changed. 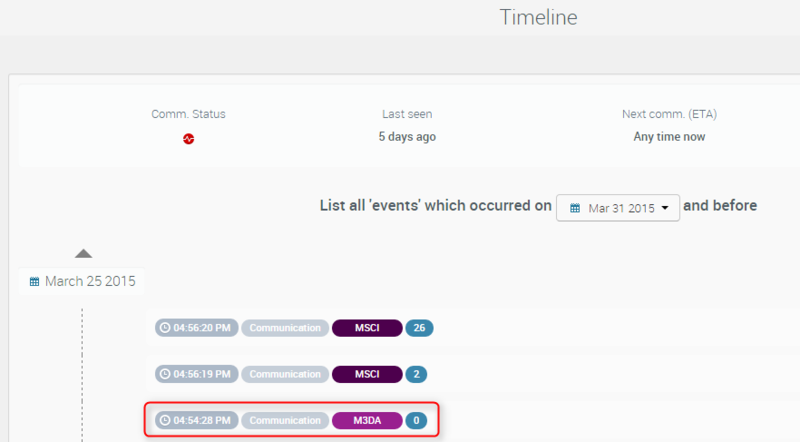 Confirm in AirVantage that configuration is working properly in the system details Timeline. There should be M3DA communications exchange. Alternatively of if you need to apply this setting on many system, you can use the apply template functionality. Admin > Advanced > Reset Mode set to Reset All. Hard Reset will also reset all communication parameters such as the APN details, so to be used with caution for remote devices. Then launch a synchronize operation in AirVantage restart this tutorial at step 4.